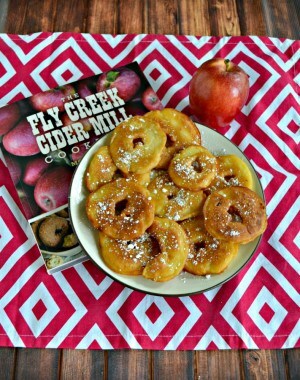 Fly Creek Cider Mill and Orchard is one of New York State’s oldest working cider mills. Owned by authors Brenda and Bill Michaels, the mill sits on the banks of Fly Creek near historic Cooperstown, where for more than 150 years visitors have come to watch as apples are pressed into fresh cider. 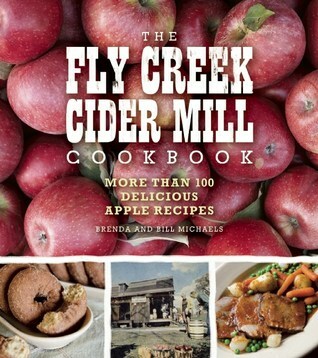 Released to commemorate the 160th anniversary of the mill, The Fly Creek Cookbook captures the history of this treasured operation through stories, photography, and more than 100 apple- and cider-based recipes. 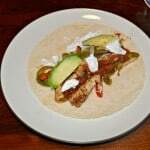 These recipes range from sauces and drinks to breads and soups to starters and main courses. Each recipe has been selected with the home cook in mind. Contributed by mill employees and friends, each dish has been vetted by James Beard Award–winning cookbook author Judith Choate, who is a friend of the Michaels family. When Hosea Williams opened the mill in the mid-1800s, settlers from around the region abandoned making labor-intensive, homemade cider in favor of milling their apples at Fly Creek. While waiting for the fruit to be turned into cider, community members amused themselves by watching the newfangled machinery, picnicking, and gossiping with friends and family—a scene not so different from the mill’s workings today. This is a great cookbook from a cider mill in New York. The book starts out with a history of the mill which includes color photos of the founders and the mill itself. The next chapter in the book talks about apples and cider. There is a great explanation of how cider is made. After that comes the recipes. The recipes are divided into basic recipes, breakfast, starters, soups and salads, sides, main courses, breads, desserts, and drinks. Each section has several color photos to go along with the recipes. 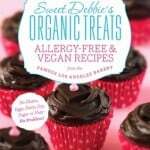 I found the majority of the recipes to include ingredients easily found in most kitchens or grocery stores. I like recipes like this that don’t call for special ingredients because then everyone can make them. 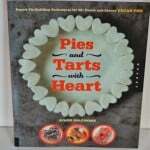 As always I went through the book and marked all the recipes I wanted to make. Since fall is quickly coming and apples are already showing up at the farmer’s market this is the perfect time of year to get baking with apples and cider. 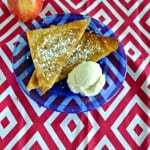 The five recipes I most wanted to make were Easy Apple Bacon Pizza, Apple Fritters, Johnny Appleseed Bars, Pork Braised in Hard Cider, and Chicken and Apple Salad. 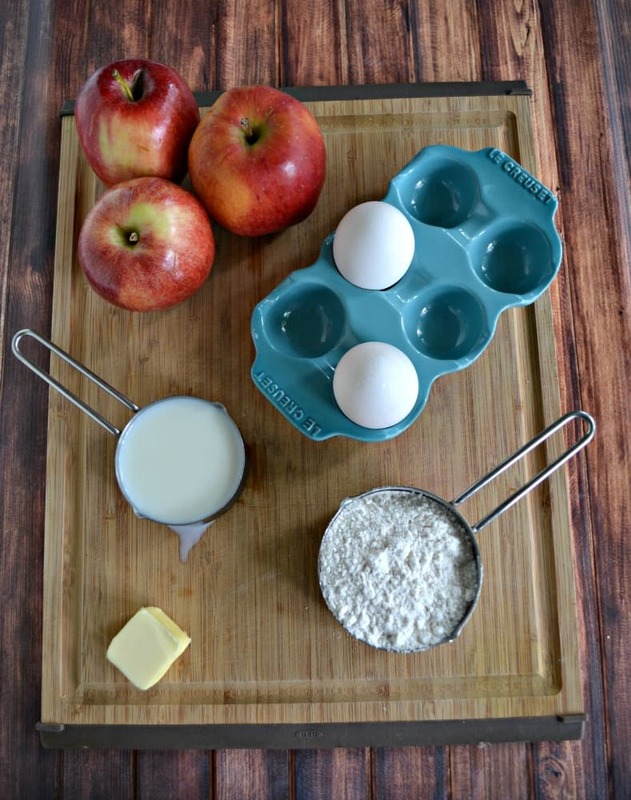 The recipe I chose to make first were the Apple Fritters. I chose this because they were easy to make, I had all the ingredients on hand, and it’s a stove top recipe so I didn’t have to turn on the oven. 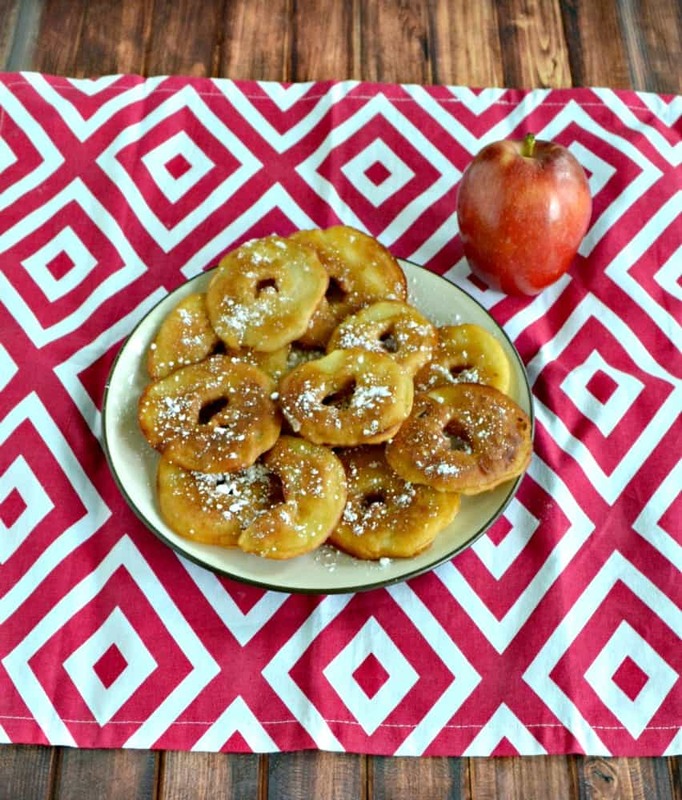 I’ve seen several versions of apple fritters which include dunking apples in a batter and frying them, a version that’s more like an apple dumpling, and a version that is more like a fried apple bread. 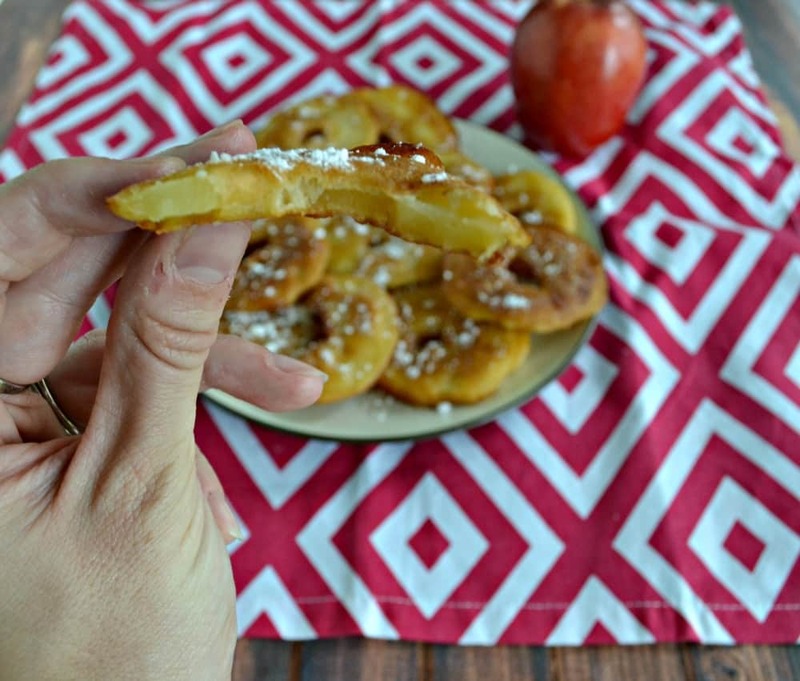 This recipe is the traditional one where apple slices are dunked in a batter and fried. The batter is made with common ingredients like milk, flour, and sugar. The apples are dunked in and put in a pan of hot oil. They are fried until golden brown then drained on paper towels. While they are still hot I sprinkled powdered sugar on top of them. These apple fritters are delicious. They are lightly crisp with the soft apples on the inside. The powdered sugar adds a bit of sweetness to them which is perfect. These remind me of something you’d eat at a fair which is great food for the end of summer. Apple dipped in a light batter then fried to a golden brown and sprinkled with powdered sugar. Sift the flour, granulated sugar, baking powder, and salt together into a medium mixing bowl. Set aside. Place the egg whites in a small mixing bowl and, using a handheld electric mixer, beat on high until soft peaks form. Set aside. Place the egg yolks in a medium mixing bowl. Still using the handheld electric mixer, beat on medium for 1 or 2 minutes to lighten. Add the milk and beat on low to blend. Add the flour mixture, beating to incorporate. When blended, add the melted butter and beat until thoroughly blended. Fold the reserved egg whites into the batter, taking care to blend well. Peels the apples. Using a long apple corer, line the end up with the apple core at the stem end and gently twist it all the way into the apple, making an even circle straight through the apple. Then, cut each apple crosswise into ½ inch thick slices. Place the oil for frying n a deep fat fryer, large shallpw saucepan, or large deep frying pan over high heat. Bring to 365 degrees on an instant-read thermometer. Working with 1 piece at a time, dip the apple rings into the batter, allowing excess batter to drip off, and gently drop into the hot oil. Do not overcrowd the pan. Fry, turning once, for 3 minutes, or until the coating is golden brown and crisp. 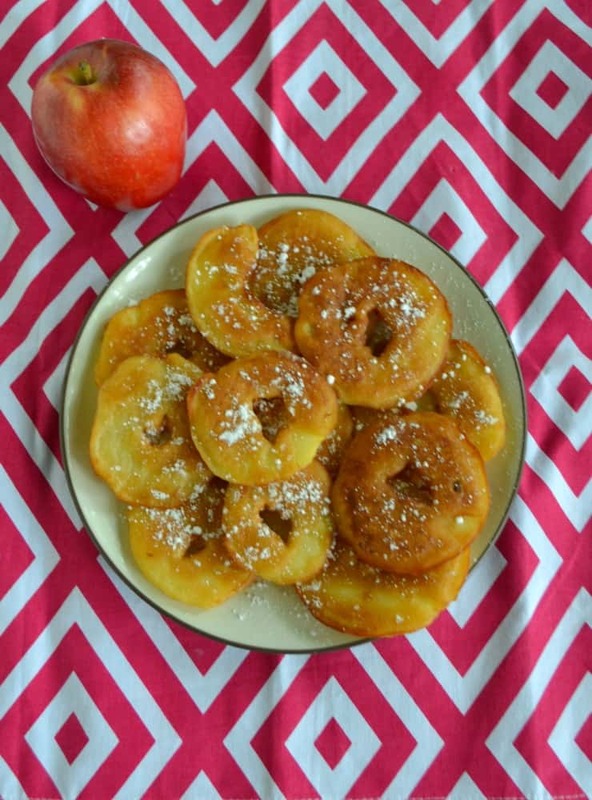 Using a slotted spoon, lift the fried apple rings from the hot oil and place on a double layer of paper towel to drain. 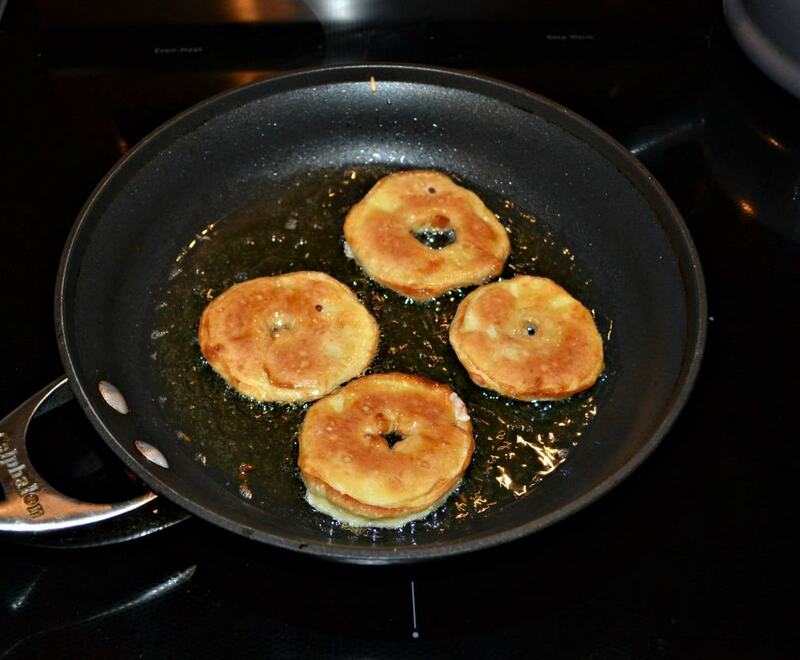 Continue frying until all of the rings have been fried and drained. Place the confections' sugar in a fine mesh sieve and tap the edge of the sieve over the apple fritters to lightly coat. Serve warm, as is, or with melted butter and warm maple syrup.